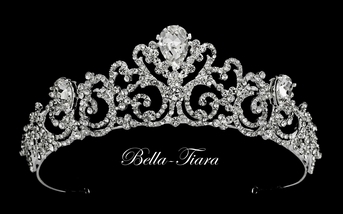 Description: Royal design suited for that special bride princess. romantic swirl design encrusted with Swarovski crystals and large Swarovski center stone. measure approx 2.5" at highest point with hoops on each end for bobbie pins.